Ruach is a joy filled network of house churches whose members love one another and reach out beyond the church to launch new communities of disciples of Jesus. Our house churches in Sydney's Northern Beaches meet in homes or other venues and gather together twice a month (first & third Sundays) for a combined Sunday morning Celebration service at Allambie Heights. We also have house churches operating in the beautiful Southern Highlands south of Sydney. Ruach (pronounced Roo-ark) is a Hebrew word found in the Bible. It means breath of God and is used in reference to the Holy Spirit. It is an active, powerful word that speaks of life and new things coming into being. Enjoy exploring our website, and please don't hesitate to contact us if you would like any further information or would like to visit one of our groups. 9:30am - 11:00am (+ morning tea) at Allambie Heights School Community Centre. involved in our time together. We'd love you to join us. 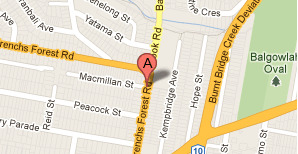 Manly Beach Church meets at 5.30pm in Balgowlah Heights. Ruach Manly Beach provides a young adults focused space where people can encounter Christ in the context of passionate worship, gospel-based teaching and prayer ministry. You are welcome to visit any week.